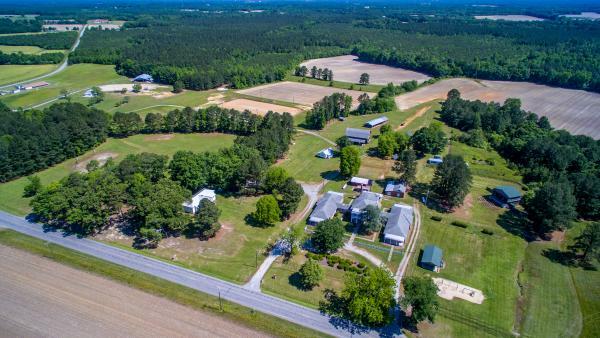 The Halifax County 4-H Rural Life Center has 6-7 miles of trails to offer to horse, cyclist and hiking enthusiast alike. There are various types of terrain that suit beginners to advanced. The trails wind their way through beautiful pines and skirt around fields offering a chance to see nature at its finest. 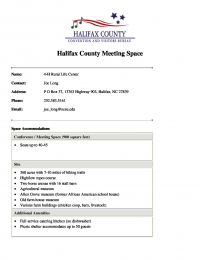 This location is also home to the Halifax County Horse Council which hosts regional events using the center's two lighted riding arenas and permanent concession stand. The Center was originally built by Halifax County in 1923 to be used as the County Home. In the mid 1950’s, it was changed to a rest home where it remained in use until the early 1970’s. Once the rest home closed, the center remained vacant until the early to mid 1980’s when the Cooperative Extension Service decided to make it their 4-H Camp. After much work and renovation, it is today the 4-H Rural Life Center. The Center can also accomodate groups. There is an outdoor conference/meeting space for up to 40-45 people, along with high-low ropes course, two horse arenas with 16 stall barn, various farm buildings and museums on the property, picnic shelter and full service catering kitchen. Check out our Brochure above for more details.